The Whitney Lee DeCarlo Foundation Inc, is a dedicated group of community volunteers joined together for the purpose of raising funds for local non-profit 501c (3) community organizations. Our focus is providing direct outreach services for at risk children and families in Southwest Orange County Florida. The Foundation was formed in October of 2008 to memorialize the life of Whitney Lee DeCarlo who was tragically killed in an automobile accident at the age of 23. Our Organization strives to keep Whitney's demonstrated passion for helping others alive through a variety of fundraising activities and distribution of those funds to local community organizations. 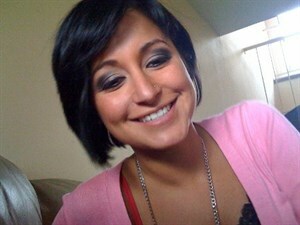 Whitney was a talented and well respected stylist at The Cut & Color Room at the time of the accident. We miss her to this day and have chosen to exclusively donate, support and sponsor her namesake Foundation. We Love You Whitney!